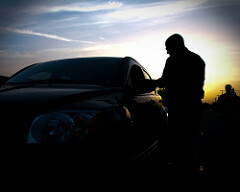 One of the most common criminal charges is Driving Under the Influence or DUI. The consumption of alcohol is very popular and due to the rural nature of Utah most people drive their own car wherever they go. This is a perfect formula for people making the mistake of driving under the influence, which is a very serious offense that carries heavy penalties. In Utah DUIs are very heavily regulated by the legislature and although a first DUI is a class B misdemeanor the mandatory penalties that come with a DUI are much steeper than most other charges at that level. Additionally, DUIs are enhanceable meaning a third DUI in a ten year period is charged as a third degree felony and carries a minimum 60 day jail sentence. Due to the prominence of DUI charges and the difficult nature of settling these case because of the statutory requirements, in Weber County a DUI Court has been set up to help resolve these types of cases. The DUI Court is similar to Drug Court which a lot of other jurisdictions have and its sort of a form of probation. In drug court however the ultimate result is a dismissal of the charges so it functions like a plea in abeyance. DUI Court unfortunately just results in a one step reduction of the charge, and its for third DUIs which are charged as a third degree felony. So what that means is that after a year in DUI court and going through the treatment and testing etc.. the individual ends up with a class A misdemeanor. If you are facing a third DUI in Weber County then you should contact us for help in understanding the DUI Court process and the possible benefits it could provide to you. Most people’s view of criminal proceedings are focused heavily on guilty or not guilty. As criminal defense attorneys however its our job to see if we come to an agreement with the prosecution that saves our client’s from the lengthy expensive process of trial while still protecting them and their futures. One of the best resolutions available in a criminal proceeding is what is a called a plea in abeyance. One of the most important factors in whether or not you can get a plea in abeyance in your case is your criminal history. Most prosecutors in Utah see the plea in abeyance as something only for first time offenders, however, we have been successful in obtaining a plea in abeyance in cases where our clients did have a criminal history. If you are wondering if you could get a plea in abeyance in your case contact us today for a free consultation. 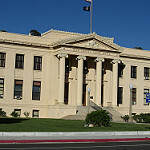 In Utah the adult criminal justice system is divided primarily into two courts, the justice court and the district court. Depending on the level of charge an individual is facing they were either be in the District Court or the Justice Court and there are many similarities between the two but there are three main areas where they are distinct. 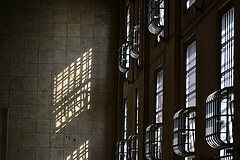 The first thing to consider is what separates justice court criminal charges from district court criminal charges. In Utah all class B misdemeanors, class A misdemeanors and infractions are handled in the justice court. Everything above a class B misdemeanor, so class A misdemeanors and felonies are handled in the district court. Due to this distinction the process of the district court are normally a little more rigid as they are dealing with more serious offenses. In a couple jurisdictions in the state, such as Layton and Bountiful, there are no justice courts and all criminal charges are handled in the district court. The next thing that separates justice courts from district courts are the types of hearings that are required in the process of a criminal case. In the justice court the procedural history will normally start with an arraignment (which can be waived if you have counsel), and then move right to a pretrial conference before ultimately going to trial. In District Court on the other hand the process starts with an initial appearance (this cannot be waived by counsel), and there is an additional hearing called a preliminary hearing that is not required in justice court proceedings. The preliminary hearing a stage where the prosecutor must show to the court that there is sufficient evidence to continue with the case. The preliminary hearing involves an extremely low burden on the prosecutor and the majority of cases are “bound over” for trial, meaning they move forward with the process until the Defendant either takes a deal or goes to trial. Finally, the courts differ in how their decisions can be appealed. 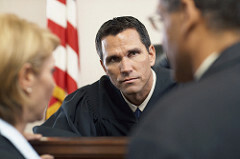 The justice court is not considered a court of record in Utah which means their decisions can be appealed to the District court as de novo proceedings. What that means is the district court simply starts the entire process over of the case, they are not reviewing the justice courts decision to see if they did everything right they just start fresh. So if an individual is convicted of a crime in the justice court and they file an appeal then the case is moved to the district court and process starts over with a new judge in a new court. In district court, on the other hand, an appeal goes to the court of appeals and they review the case to see if the district court did something wrong, and they do not start the process over, and as such it is not a de novo review. If you are facing criminal charges in either the justice court or the district court then you should call the attorneys at Ogden Criminal Defense for help. Our attorneys work in all levels of court in Northern Utah and we can help protect your rights. In Utah the law allows for withdrawing a guilty plea before sentencing but only in very defined circumstances. Recently in State v. Collins, the Utah Court of Appeals addressed the issue of a defendant’s desire to withdraw his guilty plea, but the court denied him a withdrawal in that case. Whether he understood the maximum penalties associated with the second degree felony conviction of possession of a controlled substance. The court also explained to the defendant that although there was a sentence recommendation, the court was not bound by that recommendation. After entering his plea, the defendant filed a motion to withdraw his guilty plea. At a hearing the defendant said he was promised by his attorney that as soon as he entered his plea he would be released on probation. The district court denied his motion to withdraw his plea and he appealed, but only on the issue that his plea was not knowing, intelligent and voluntary, but on that issue he lost as well. The court noted that “To show that a plea was not knowing and voluntary, a defendant must show either that he did not in fact understand the nature of the constitutional protections that he was waiving by pleading guilty, or that he had such an incomplete understanding of the charges that his plea cannot stand as an intelligent admission of guilt.” The court found that the defendant did not satisfy his burden. The issue of whether or not law enforcement should be permitted by law to tap your cell phone has been getting a lot of mediation attention lately. First, Edward Snowden revealed the extent of which big brother has not only been tapping into cell phones and other devices, but the appalling frequency with which this occurs absent any kind of warrant. In response to all of this, Apple released their iPhone 6 with the ability to prevent law enforcement from being able to access your phone without your passcode. In fact, Apple cannot even access the phone through any back door. The new security technology effectively makes it impossible for Apple to access certain information on your phone even with a court order. They simply cannot comply because they lack the ability. While many in the tech industry and outside of law enforcement have celebrated Apple’s new security feature, the FBI and others are making a big fuss, no surprise. The director of the FBI has even gone as far as to request Congress enact new legislation making it illegal for manufacturers such as Apple to sell products which cannot be tapped by law enforcement. Even more egregious is the request by the director that Congress expand the law to require online companies such as Apple and Google to install backdoors for the FBI to access data. While the Supreme Court had just gotten its feet wet on some of these issues, it remains to be seen how the court will decide these rapidly evolving changes in our society. Thankfully, the U.S. Supreme Court recently addressed the issue of phone searches holding police are required to obtain a warrant to search a person’s phone. All the same exceptions may apply to the warrant requirement but at least SCOTUS acknowledged the overwhelming public sentiment that phones should be considered private and beyond the reach of law enforcement’s snooping absent a warrant. This case is a good sign the justices will decide future cases in favor of the end users and limit the ever growing power of the federal government. In an aggravated kidnapping case the court must consider the interests of justice for purposes of sentencing. Aggravated kidnapping is one of the most serious crimes the state of Utah has legislated and recommends a life without parole (LWOP) sentence absent a finding of mitigating factors or a finding that the interests of justice warrant a lesser sentence. The Utah supreme court addressed such a case recently and reversed the court of appeals’ decision finding that a district court correctly sentenced a defendant to LWOP. The Utah supreme court found that the district court considered only those mitigating factors recognized by the sentencing commission rather than considering generally the “interests of justice” as required by the aggravated kidnapping statute. In this case the defendant lived with his girlfriend. He was suspecting that she was having an affair. When she didn’t come home one night and refused to tell him where she had been she he became enraged and began to beat her. He then forced her into his car and started driving toward her alleged lover’s home. A cop started following him. As he entered the neighborhood where his girlfriend’s lover lived, his girlfriend attempted to escape the car. LeBeau collided with the lover’s truck throwing his girlfriend from the car. She sustained significant injuries. LeBeau was convicted of aggravated kidnapping. At the sentencing he presented evidence that he believed should have constituted a mitigating factor that would have reduced his sentence from the LWOP. Additionally, the defendant argued that the “interests of justice” should have convinced the court that the sentence should not have been for LWOP. The Utah supreme court found that the district court erred by not considering the “interest of justice” as required by the aggravated kidnapping statute. The supreme court then sent the case back down to the district court for further sentencing to determine whether the interests of justice would require a reduction of the LWOP sentence. Earlier this week a preliminary hearing was held in the First District Court in Logan for a North Logan woman who is being charged with embezzlement. The woman’s former employer at Rocky Mountain RV testified that the woman had committed embezzlement to the tune of roughly $9,000 by fraudulently collecting factory incentives and buying personal items with company money and on company credit cards such as food and even a carpet cleaner. Judge Thomas Willmore, who heard the preliminary hearing, bound over the case for trial after hearing testimony on the matter meaning that he found sufficient evidence to move the case forward. The bar is set very low at preliminary hearings and almost every case is bound over, however, it is a good opportunity for defense counsel to get an idea of what exactly the state’s case looks like. What this means for the North Logan woman is that her case will now move to a Final PTC and then ultimately trial. The embezzlement case that the woman is facing consists of felony theft charges and felony forgery charges. If you are facing criminal charges in Logan or North Logan such as embezzlement or other theft type charges then call Ogden Criminal Defense Lawyer today. We can help you understand the charges you are facing and help you defend yourself. Plea bargaining refers to the situation where a Defendant agrees to plead guilty or no contest to certain charges in return for certain promises from the prosecution. If you have been charged with a crime in Utah and are considering a plea bargain, there are a few things you should be aware of before entering your guilty plea. Before agreeing to plead guilty to anything, you should be aware that by pleading guilty you are waiving all of your trial rights including trial by jury, right to confront your witnesses, etc. Often the judge in your case will read you the rights you are waiving or have you sign a written waiver form. You never have to take a plea bargain, you always have the right to trial. If you will be pleading guilty, you must enter your plea voluntarily and intelligently. This means you should not enter your plea under coercion or duress and you must understand the nature of the charges against you. You should be fully aware of the elements necessary to prove the charges against you and the possible maximum penalty and any mandatory minimum penalties. A guilty plea is not involuntary merely because it was entered in response to the prosecution’s threats of more serious charges or other potential penalties. But, if a third party is promising you things in return for plea of guilty, or threatening you with harm if you don’t plead guilty, you should seek legal counsel and not enter a guilty plea. A plea bargain will be enforced against the prosecutor and the defendant but not against the judge. This is a crucial principle to understand. Even though the prosecutor may have agreed not to recommend jail time as part of the plea agreement, the judge may not be bound to follow the agreement. Ultimately, the judge could impose a harsher sentence against a Defendant despite contrary terms in the plea agreement. This is seldom the case but always a risk and something every defendant should be made aware of. Before accepting any plea agreement, everyone should first seek advice from an attorney on the potential terms of the agreement. This can help avoid pitfalls and ensure you fully understand what you are agreeing to. To speak with an Ogden Criminal Defense Lawyer at our office today, call 801-823-1200. We can review your potential plea agreement and assist in making sure you fully understand the process, your rights, and other implications. Earlier this week a Logan man who was originally booked into jail on suspicion of automobile homicide entered a no contest plea to charges of reckless driving and DUI metabolite. The Logan man spoken of is 19-year-old Emiliano Guereca who was involved in a head on collision in November 2013 that resulted in the death of the other driver. Guereca was attempting to pass the vehicle in front of him but did not have sufficient room to get around the other car. Guereca states that he didn’t see the oncoming car until his headlights were on it and he attempted to swerve but was unable to in time. Guereca’s blood was drawn by police and it tested positive for metabolite and Guereca admitted to using marijuana about a week before the accident. Although Guereca was originally arrested on suspicion of automobile homicide that charges was never actually brought against Guereca and instead he is facing two class B misdemeanors for reckless driving and driving with marijuana metabolite in his system. If you have been charged with a drug charge or some sort of traffic violation like reckless driving or DUI then call the attorneys at Ogden Criminal Defense Lawyer to get help. We can help you understand the process and help you fight to defend your rights. Call or email us to find out more, we offer free consultations and can answer most questions right over the phone.